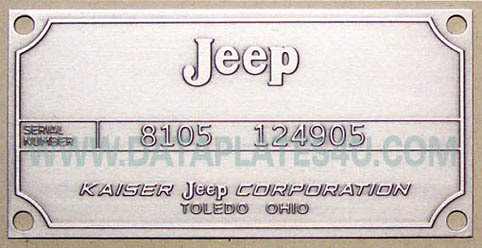 I can make any pressed style data plate for your jeep. 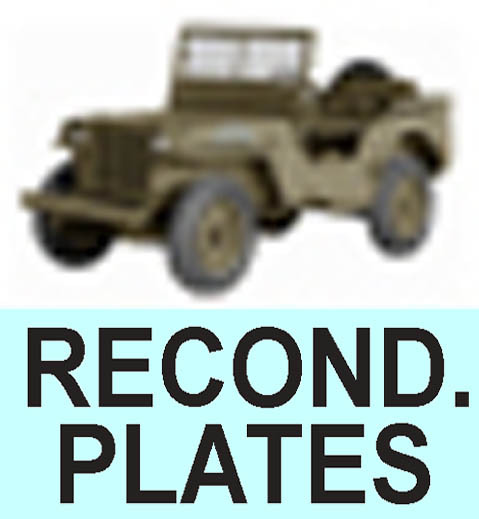 This style of plates are originally stamped from behind. The plates I make are deep etched and look if they are stamped from behind. Ones attached you will not see any difference with stamped plates. I can include your serial number as raised number. 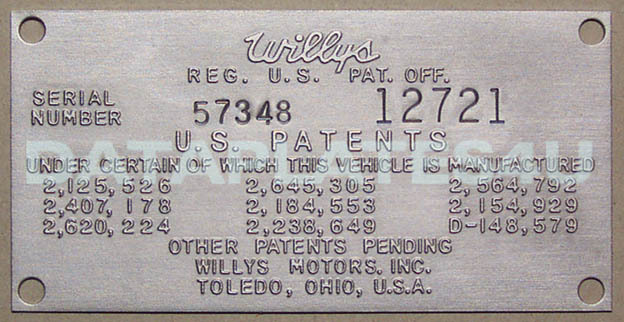 The raised numbers you see can only be made as an one-off data plate order. If you want more info about this possibility please contact me. 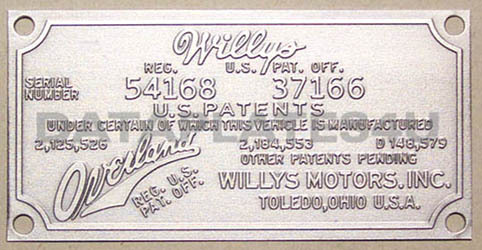 I also have for the plate with Willys in top a stamping service, click here. 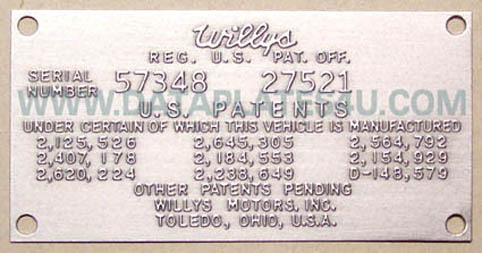 This plate is a stock plate and can be stamped inwards with your number.